On the English side of the pond, LexisNexis’ 200 year anniversary seems to have coincided with AI hitting the very top of the hype curve, blockchain finding its way into the everyday Lexicon and increasing numbers of leading law firms opening their own tech accelerator hubs. These opportunities for lawyers, law firms, in-house teams, learning establishments and law students give us reason to think that we are experiencing the most significant innovations ever seen by lawyers. One technology easily forgotten because of its pervasiveness was an innovation that dominated LexisNexis (previously Butterworths) during the first 160 years of our history but had already been available for 350 years before Henry Butterworth opened his bookstore in 1818. Johannes Guttenberg’s printing press was a major first step on a journey of democratizing information and transmitting it with ease and speed. While the printing press had been developed in the mid-1400s, it was not until 1481 or 1482 when the first English law book was printed: Sir Thomas de Littleton’s Treatise on Tenures, which was written in French. Perhaps even more importantly, the first legislation was printed in 1483. Before then, the dissemination of legal information and ideas – including publishing law reports and instructional guides for solicitors and justices of the peace – was limited to a scribe’s accuracy and speed and therefore tended to be limited to those few in the Inns of Court who had access to manuscript copies. The pre-printing press, “manuscript culture”, methods of recording and sharing information in notebooks or commonplace books and the direct conversations between lawyers made it challenging for those practising or upholding law to be sure that they were up-to-date with current legislation and practice. However the same methods also proved to be an ideal protectionist tool allowing (or perhaps even engineering) a major knowledge gap between those who had access to the law and those who didn’t. A lawyer’s value would regularly lie with just knowing what the law was, rather than how to apply the law. Of course this is no longer how a lawyer creates value and such a scenario seriously offends our current concepts of the Rule of Law since people cannot be truly equal if it is impossible for the majority to even know what the law is. in any event, LexixNexis has created a short video as a tribute to the legal profession and how it has helped transform society over the past 200 years. Hat tip: James Wilkinson, Head of Content Automation at LexisNexis UK. This entry was posted in Legal History, LexisNexis on June 10, 2018 by Harold O'Grady. The Sixth Annual Library Databases Research Fair will be held on Thursday, September 28th, 2017. The Fair will be held in the Library’s new 3rd floor Collaboration/Reading Room from 3:00pm to 6:00pm. There will be handouts, light refreshments, and a raffle drawing for gift cards. Come and learn how these databases will help you with your legal research. 3rd floor Library, New Collaboration/Reading Room. This entry was posted in 1Ls, Bloomberg Law, BLS Students, HeinOnline, LexisNexis, Library Info, Westlaw on September 6, 2017 by Linda Holmes. For questions, contact Maxwell Sivin, Client Success Manager, msivin@bna.com, 646-494-5244. 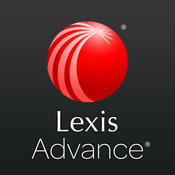 Lexis Advance: Students will have continuing access during the summer for all legal and news content on LexisNexis. During the summer months of May, June and July, the permissible uses of your LexisNexis educational ID are expanded to include use at any law firm, government agency, court, or other legal position, internship, externship or clerkship. May 2017 graduates have continuing access to Lexis for six months after graduation to study for the bar exam, prepare for employment, improve research skills, etc. No extra steps needed. For questions, contact Mary Beth Drain, LexisNexis Account Executive, marybeth.drain@lexisnexis.com, 845-598-3203. Students have access to Westlaw for six months after graduation. The “Grad Elite” access gives students 60 hours of usage per month on Westlaw to build research skills. In addition, students get access to job searching databases on Westlaw and TWEN for 18 months after graduation for one hour per month. Access: A pop-up will appear when you log into www.lawschool.westlaw.com starting three months before the students’ set graduation date. Students can extend access by logging into www.lawschool.westlaw.com. For questions, contact Stefanie Efrati, Thomson Reuters Academic Account Manager, stefanie.efrati@thomsonreuters.com, 212-548-7432. This entry was posted in 1Ls, Bloomberg Law, BLS Students, LexisNexis, Library Info, Westlaw on April 19, 2017 by Linda Holmes. The BLS Library is offering a webinar and a live training session to introduce students & faculty to the LexisNexis Digital Library. As described in Reference Librarian Rosemary Campagna’s blog of October 15, 2016, the Library recently acquired a subscription to the LexisNexis Digital Library which gives students access to treatises, practice guides, and study aids in eBook format. UPDATE: THE PREVIOUSLY SCHEDULED WEBINAR FOR THURSDAY, NOVEMBER 3rd WILL BE REPLACED BY A LIVE TRAINING SESSION ON THURSDAY, NOVEMBER 10, 2016, 11AM-12NOON IN LIBRARY ROOM 113M. SPACE IS LIMITED. EMAIL to: linda.holmes@brooklaw.edu, if you would like to attend. WEBINAR: Monday, November 7, 2016, 4:00PM-5:00PM. 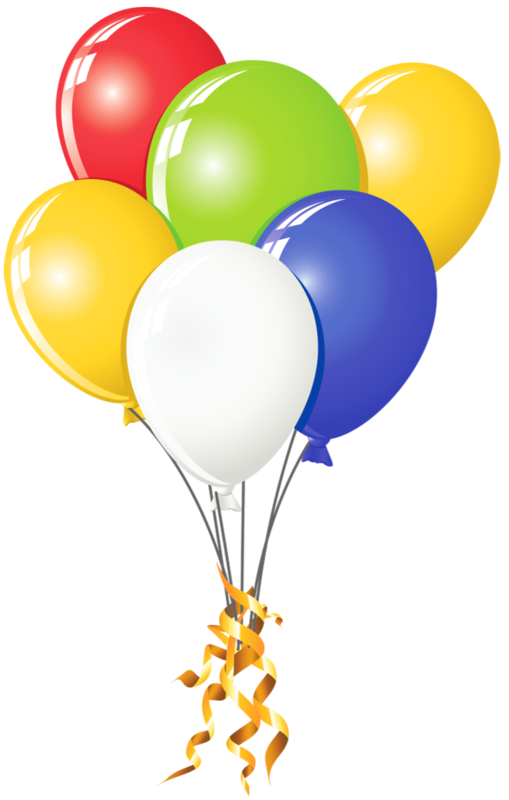 This entry was posted in 1Ls, Advance Legal Research Class, BLS Faculty, BLS Students, E-Resource, LexisNexis, Library Info, Research, Training on October 24, 2016 by Linda Holmes. Current law students and faculty can access the Law Library’s new subscription to the LexisNexis Digital Library. 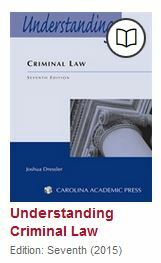 This new subscription gives provides access to primary law, code books, treatises as well as study aids, such as the Understanding and Questions and Answers series. Just sign in with your BLS user name and password for access. The LexisNexis Digital Library provides eBook lending capabilities, much like lending a physical book. The books are accessible via computer, smartphone and tablets. They are compatible with all major devices (Apple® products, Android, Amazon® Kindle®, etc.). You can access them 24/7. Borrowing times vary depending on the format, ranging from 7 days for a study aid and 30 days for a treatise. We also have multiple copies of titles, so several users may access them at once. Check out the Lexis/Nexis Digital Library and see what it has to offer. 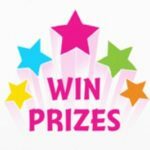 This entry was posted in 1Ls, Access, Advance Legal Research Class, BLS Faculty, BLS Students, E-Resource, LexisNexis on October 15, 2016 by Rosemary Campagna. The Fifth Annual Library Databases Research Fair will be held on Thursday, September 29th, 2016. The Fair will be held in the Student Lounge from 3:00pm to 6:00pm. Save the date: Thursday, September 29th, 2016, 3:00pm – 6:00pm, Student Lounge. This entry was posted in 1Ls, Bloomberg Law, BLS Faculty, BLS Students, HeinOnline, LexisNexis, Library Info, Westlaw on September 22, 2016 by Linda Holmes. For questions, contact Maxwell Sivin, Law School Relationship Manager, msivin@bna.com, 646-494-5244. Lexis Advance: Students will have continuing access all summer for academic, professional, and non-profit research. All legal and news content will be available. Your law school ID will remain active all summer. Summer access begins on the date spring classes end through the beginning of fall classes. Please check with your summer employer as to their ID guidelines. Some employers may request you use a work ID instead of your student access ID for employer work. May 2016 graduate have access to Lexis for six months after graduation. 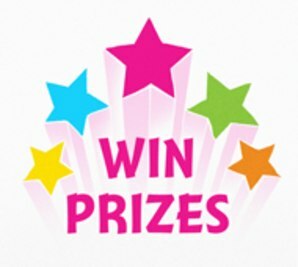 Students with summer employment in law firms, corporations, government agencies and the like should not use their academic password for research and must use their firm issued password. Students can complete the online summer extension form on the Westlaw homepage at www.lawschool.westlaw.com. Students will see a banner if they are a 1L or 2L that says “Using Westlaw in the Summertime?” Then, they should click on the banner and complete the online summer extension form to extend their Westlaw accounts. Graduates will see an extension form that says “Grads, Want More Westlaw?” on the Westlaw law school homepage. Graduates can extend their student accounts by clicking on the banner form and then they will have their access extended through 11/30/16 (for six months after graduation). For questions, contact Stefanie Efrati, West Academic Account Manager, stefanie.efrati@thomsonreuters.com, 212-548-7432. This entry was posted in Alumni, Bloomberg Law, LexisNexis, Research, Westlaw on May 2, 2016 by Linda Holmes. Bloomberg Law: Provides unlimited and unrestricted access over the summer. Student accounts will remain active and available all summer. Students may use Bloomberg Law without restrictions. Graduating students have continued access for six months after graduation. For questions, contact Erica Horton, Esq, Law School Relationship Manager, Bloomberg BNA, ehorton@bna.com, 1-800-542-1113, ext. 1884. Lexis Advance: Students will have continuing access all summer for academic, professional and non-profit research. All legal and news content will be available and there is no limitation on the number of hours of use. Graduating students will have extended access until December 31, 2015. Lexis ASPIRE: Students graduating in Spring 2015 working for a non-profit 501(c)(3) employer may apply for an ASPIRE ID which provides free access to Lexis Advance for as long as their non-profit work continues, until September 1, 2016. ASPIRE provides free access to federal and state cases, codes, regulations, law reviews, Shepard’s, and Matthew Bender treatises to use in their non-profit employment. Use the Graduate ID Form which will open ASPIRE details and extended access to Lexis Advance when you fill in your non-profit employment status. Review the eligibility requirements, and if your non-profit employment qualifies, use the Graduate Program form to apply for an ASPIRE ID. You will need to provide verifying documentation. To extend their passwords, students can select the “Need Westlaw this Summer” banner on the Westlaw homepage for continued access. They can then complete the online summer extension form to request the summer extension. Graduating students will need to complete an online password extension request on the Westlaw homepage for continued access. Once they complete the online extension request, they will have continued access through November 30, 2015. For questions, contact Stefanie Efrati, Academic Account Manager, Thomson Reuters, stefanie.efrati@thomsonreuters.com, 212-548-7432. This entry was posted in 1Ls, Bloomberg Law, LexisNexis, Library Info, Research, Westlaw on April 13, 2015 by Linda Holmes. As of today, LexisAdvance has a new look. According to Lexis, the new LexisAdvance offers a sleek, sophisticated new design, enhanced navigation and integration, as well as anywhere, any-device access. Take a look here HERE to read more about the new LexisAdvance enhancements. You can also register for webinars on this page which are designed to help you to navigate the new Lexis interface. 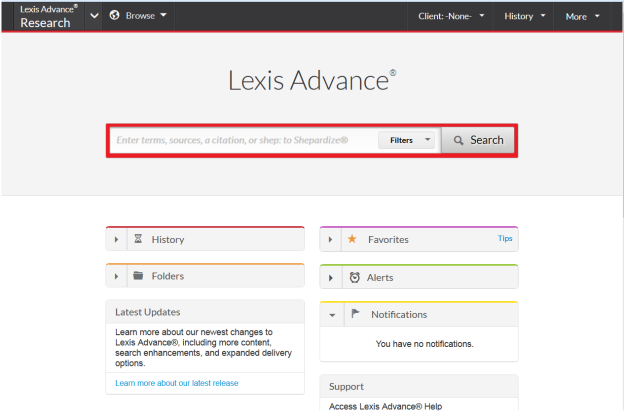 Click HERE to watch video tutorials on using the new LexisAdvance, including an overview of new features and a series of “show me how” videos which demonstrate advanced skills such as working with folders, browsing sources, and Shepardizing. If you need help using the new LexisAdvance, please see a reference librarian, we are happy to help! This entry was posted in LexisNexis, Research and tagged Legal Search Engines, LexisNexis on September 8, 2014 by Loreen Peritz. 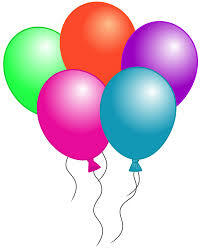 The Library staff wishes our new entering class the very best of luck as you embark on your law school career. We are here to help you in using the Library and with its electronic and print resources. You will learn about some of these resources at your combined IT/Library orientation sessions next week. Lexis, Westlaw and Bloomberg Law are three of the many electronic resources you will have access to while you are a student. These are the three major legal databases, and during your Fundamentals of American Law class, or your Case Reading Workshop next week, you will receive your Lexis and Bloomberg Law registration cards and your Westlaw password. Please follow the instructions on each of these items and register yourself in all three systems as soon as possible. Training sessions in Lexis and Westlaw will be held in September and in Bloomberg Law in the spring semester. We have several events planned for you this fall: two Bluebooking with Success Workshops and two Research Review Sessions in late October/early November and our 3rd Annual Legal Research Fair on September 30th. Stay tuned for more details about these events. Best of luck and we’ll see you in the Library! This entry was posted in 1Ls, Bloomberg Law, LexisNexis, Westlaw on August 15, 2014 by Linda Holmes.